I will fully admit that one of my least favorite genres of cuisine is Greek food. Now before you start throwing stones at me and consider me to be a culinary clown, hear me out. I have yet to eat at a worthy Greek restaurant…. Anytime I’ve eaten Greek cuisine out, the meat has been extraordinarily dry to the point where actually swallowing a piece of chicken was painful. In addition, anytime I’ve gotten a sandwich in a pita, the pita was equally as dry, and tasted more like cardboard than a fluffy pita. So with that being said, I have kind of steered clear of the whole Greek food scene. 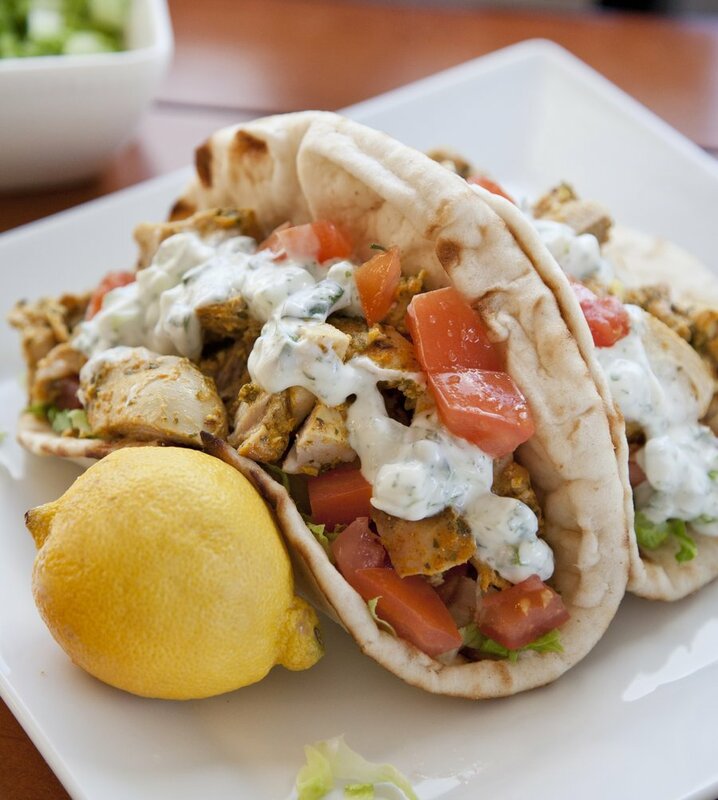 However, I absolutely love cooking with the ingredients commonly used in Greek cooking like Greek Yogurt, Lemon, Cilantro, Cucumber, and Greek Spices. 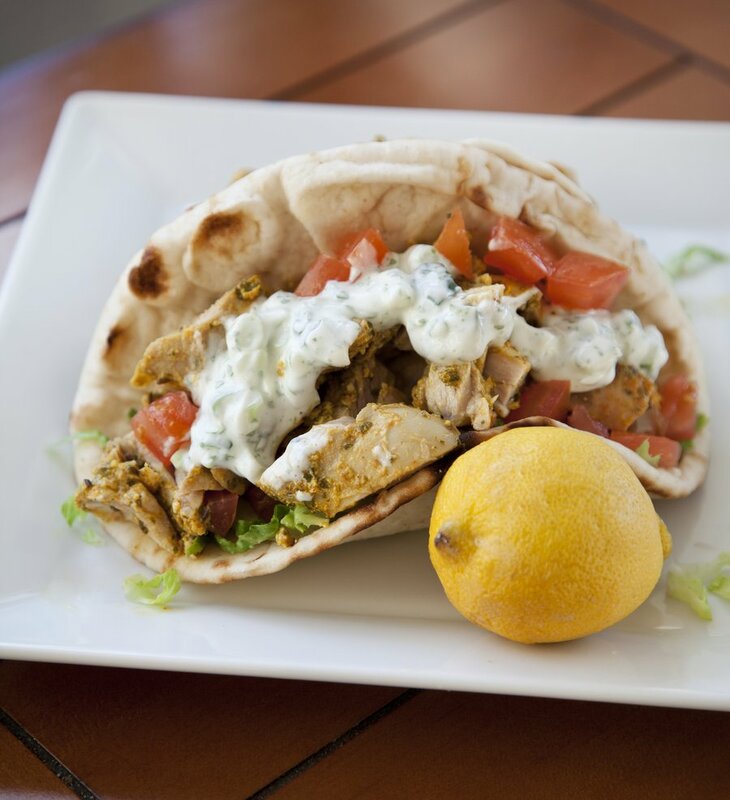 With that, I created this delicious meal of juicy Yogurt marinated Chicken made with a homemade Harissa Paste (so delicious) stuffed in a soft pita with homemade Tatziki Sauce. This is a super easy (and healthy) recipe, which is great for both lunch or dinner! 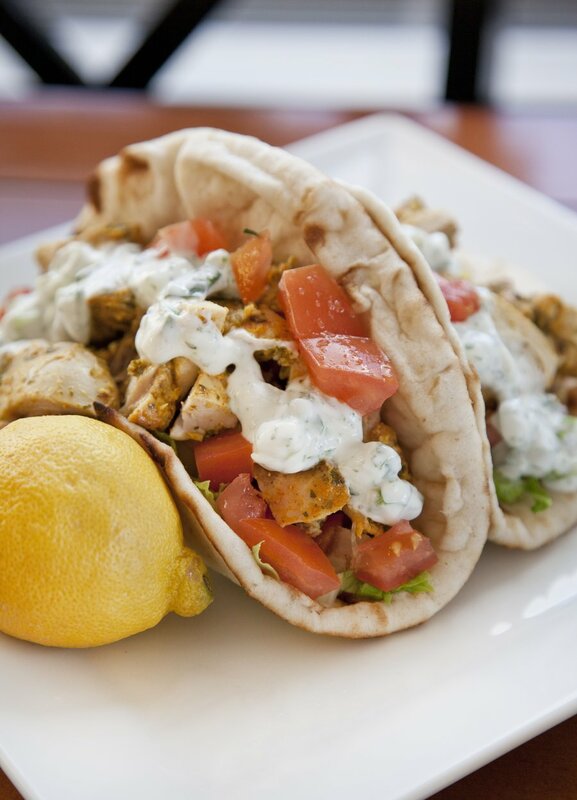 – If you wish to make this even healthier, skip the pita and toss the chicken and tatziki with some Romaine Lettuce to make a salad! 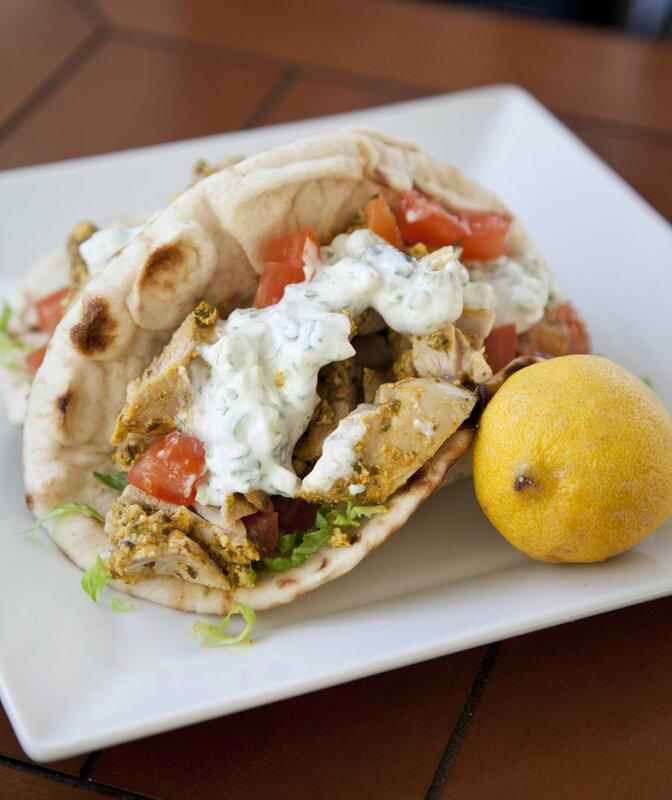 In a large bowl combine your chicken thighs, yogurt, lemon, cilantro, and 1 Tablespoon of Harissa (recipe below). Toss to combine, and let sit in the fridge, covered for at least 1 hour. After the chicken has marinated, preheat your oven to 400 degrees. Place the chicken on a baking sheet and pour any excess marinade from the bowl on the top of the chicken. Season the chicken with salt and bake for about 30 minutes, or until cooked through. Let the chicken rest for 10 minutes before cutting into small pieces. 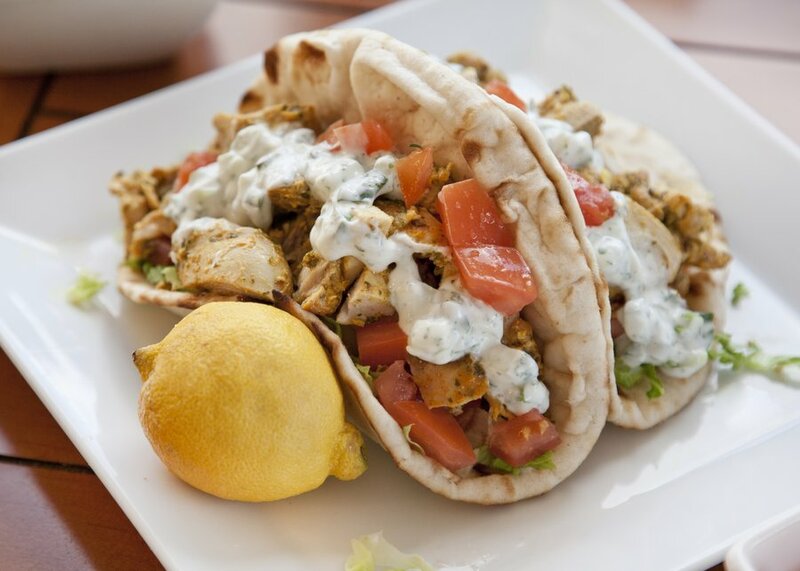 Serve the chicken on warmed pitas, top with shredded lettuce, diced tomato and Tatziki Sauce (recipe below). In a small bowl, combine everything except your Olive Oil. Mix together, then slowly add in your olive oil, while stirring to combine into a paste. This can be kept in an air tight container for a few weeks. In a bowl, combine all ingredients and mix together until incorporated. Refrigerate until use.